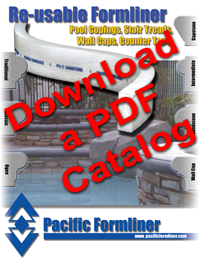 Pacific Formliner is a formliner for poured in place wall caps, pool copings, stairs, and counter tops. Pacific Formliner is available in a flexible, re-usable PFL and rigid EPS. 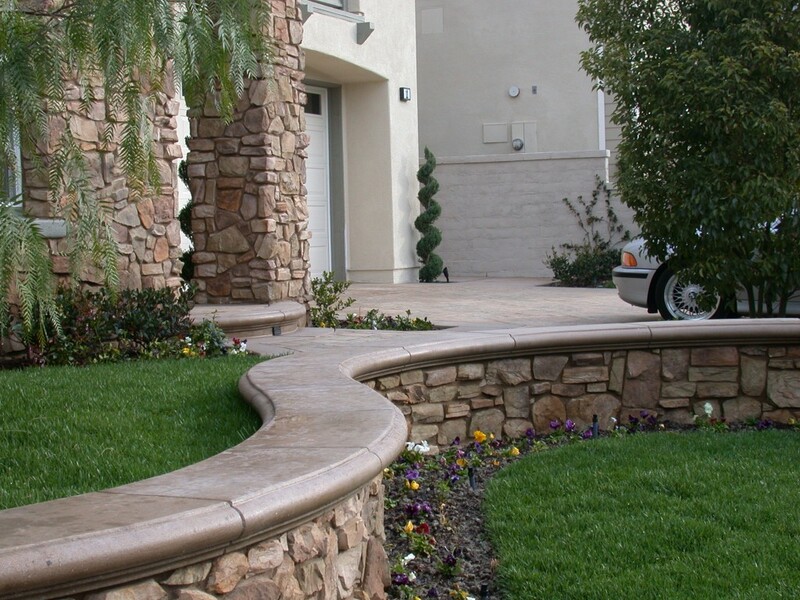 The architectural profiles created using Pacific Formliner add to the overall beauty of any project. Sixteen standard profiles with matching finishing tools . Custom profiles can be made to order. Flexibility: The material used with Pacific Formliner allows the form to flex around a wide range of radii much more easily than styrofoam formliners. Re-usability: Instead of having to discard forms after one use most contractors get between 8 and 10 uses out of each form, saving money in the long run. Durability: Pacific Formliner is much more durable than styrofoam formliners. It won’t break when stepped on and has even survived being run over by a truck.